I have no shame when it comes to my cooking show obsession. Iron Chef, Chopped, Cutthroat Kitchen, Top Chef, The Next Food Network Star — you name it, I’ve binge-watched it. So when I saw the 2017 Taste Washington chef lineup come together, I was thrilled. 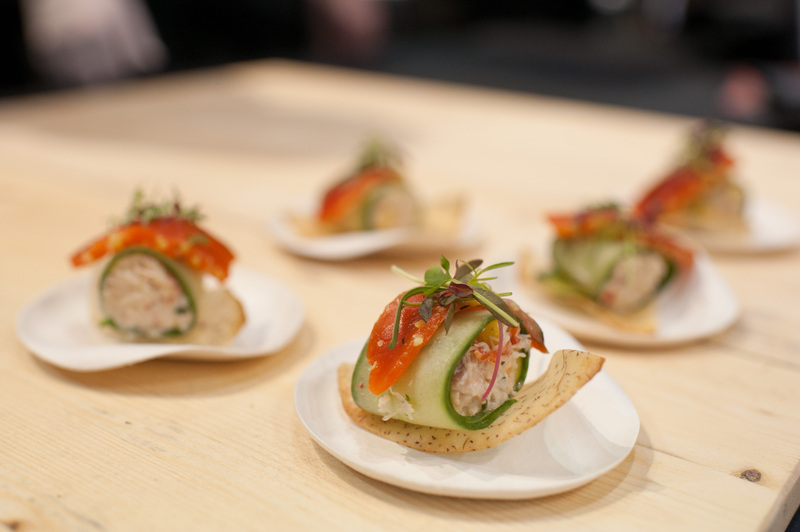 That’s because this is the year of top chefs at Taste Washington. And I do mean Top Chefs. 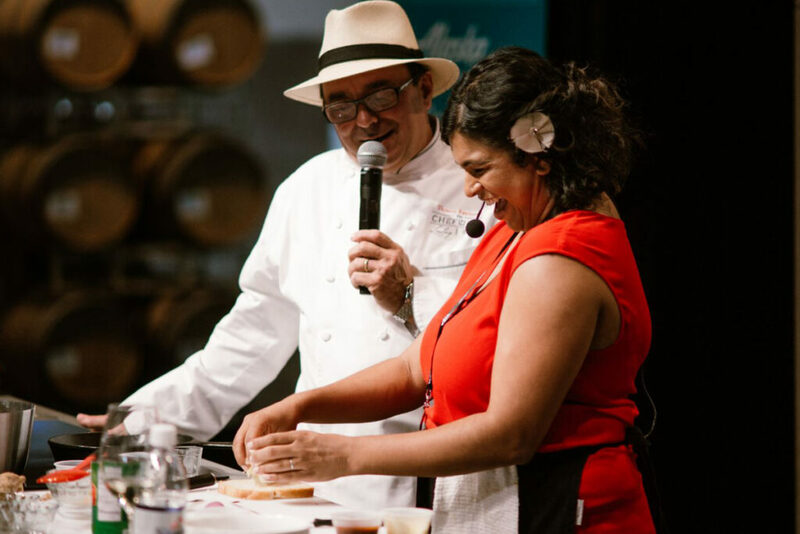 With a star-studded lineup that includes not one, but FIVE Top Chef alums, my fellow foodies and cooking show enthusiasts have a lot to be excited about the 2017 festival. Started 20 years ago as a celebration of Washington wine, Taste Washington has now become a foodie paradise. In recent years, it’s expanded well beyond its 300 participating wineries to tap big-name Seattle restaurants and nationally-known chefs (Antonia Lofaso, Marco Canora, Aarti Sequeira). And its 20th Anniversary is poised to be the best yet. 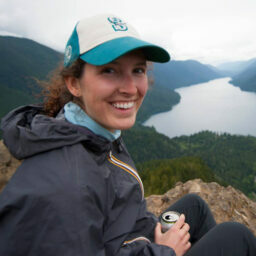 This year’s festival takes place March 23-26 in Seattle, WA. It includes over 70 restaurants (Spinasse, mamnoon, Eden Hill, and Goldfinch Tavern to name a few) and the most impressive lineup of chef talent to date. Stephanie Izard, Kristen Kish, Gregory Gourdet, Jason Stratton and Chad White will all flaunt their culinary chops onstage. If you’re a Top Chef fan, those names are probably sounding pretty familiar. That’s because all five celebrity chefs honed their skills in the Top Chef kitchen at one time or another. And two even won the coveted title. Taste Washington has always had a little love affair with Top Chef. 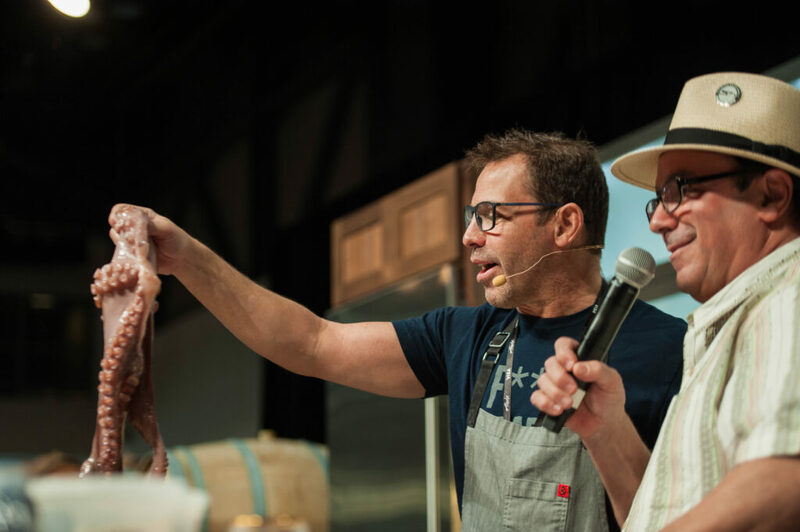 Back in 2013, Chef Antonia Lofaso (Season 4) whipped up an incredible dessert on the chef’s stage and two years ago, John Tesar (Season 10 & 14) prepared and cooked a whole octopus on that same stage. Of this year’s Top Chefs, Stephanie Izard was the first woman to win, back in Season 4. She now owns three restaurants in Chicago and won the James Beard award for Best Chef: Great Lakes in 2013. Her win set the stage for Kristen Kish to become the second female to take the title, a long six seasons later. There’s some solid Northwest representation in the group too, with Chef Gregory Gourdet of Portland (Departure), Seattle’s own Jason Stratton (mbar, mamnoon) and Chad White, a Spokane native who recently opened Zona Blanca in his hometown. While Chef Gregory came oh-so-close to victory in Season 12 – losing out in the final to Chef Mei Lin – Jason Stratton and Chad White went head-to-head in this last season. Chef Jason is a Taste Washington veteran. His carrot hummus with cumin and lime was maybe the stand-out dish at The New Vintage last year. Perhaps we’re in for a little friendly competition on the Taste stage this year? But Top Chef is about the only thing these chefs have in common. They’re from all over the country, representing wildly different cuisines and diverse styles. Their restaurants range from Chicago to Colorado, all the way to Tiujana and to my own backyard. They’re cooking up pan-Asian cuisine, Baja influenced gastronomy, modern Middle Eastern food – you name it, you’ll try it at Taste Washington. The best part is that you’ll have not one, but two opportunities to get up-close-and-personal with these culinary stars during the 2017 festival. 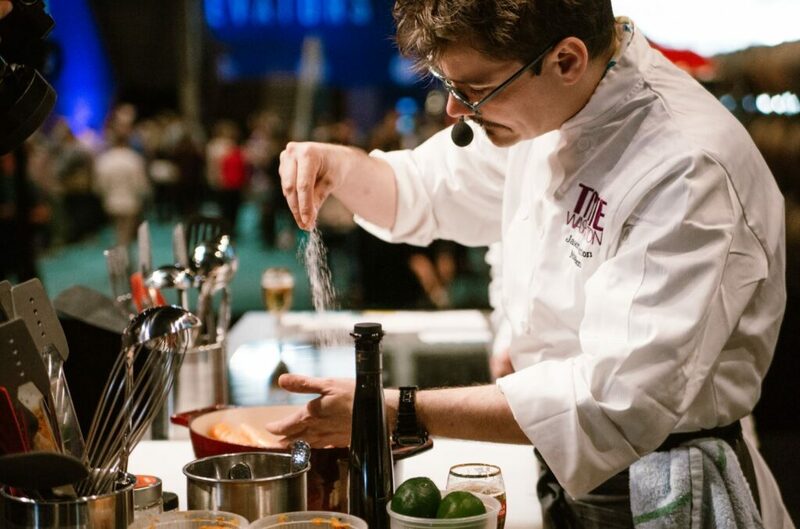 As always, each chef will grace the Alaska Airlines Mileage Plan Chef’s Stage at the Grand Tasting (Saturday & Sunday) with a live, 30-minute cooking demonstration. If you’re quick enough to snag a front-row seat, you’ll be close to the action as your favorite chef cooks up one of their signature dishes. Or you can rub shoulders with all five celebrity chefs at The New Vintage on Friday night. They’ll be serving up bites alongside 45 Washington wineries and more local chefs at this lively evening event. It’s your chance to chat up the chefs about their dishes, praise them for their culinary prowess and maybe even talk Top Chef. Not to mention trying their tasty, award-winning cuisine. With a glass of Washington wine in hand, of course. Taste Washington’s 20th Anniversary festival is March 23-26 in Seattle, WA. For information and tickets, visit tastewashington.org.